BE ACTIVE AGAIN IN NO TIME! Sore joints and muscles never should get in the way of life. Synerjoint can help you get past tired, achy joints and enjoy better joint support and comfort with its scientifically proven formula. 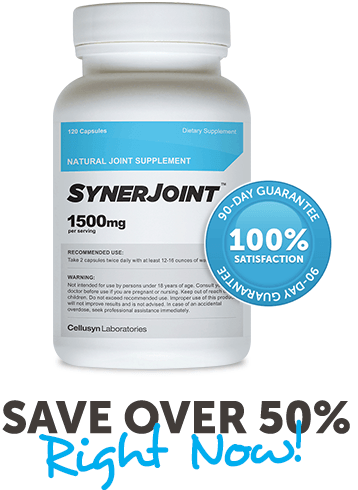 Synerjoint works so well, it became the number one joint supplement of 2014. Glucosamine is widely used to combat joint pain. 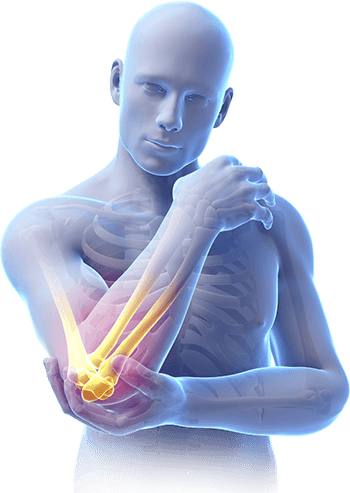 It provides the raw materials needed to manufacture glycosaminoglycans, a molecule used in the formation and repair of cartilage in joints. 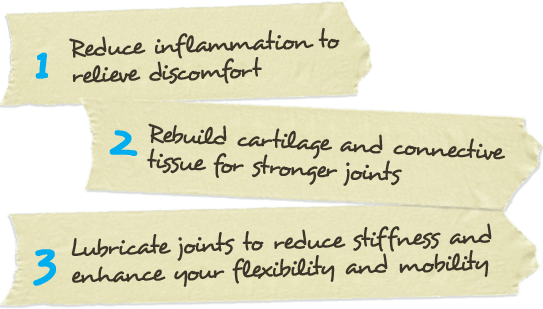 With healthy cartilage in your body, your joints will function more effortlessly and more importantly, without pain. This ingredient is critical for connective tissue health. Research suggests MSM supplementation reduces painful inflammation and aids in joint recovery. For hundreds of years, White Will Bark has been used to relieve inflammation and pain. Boswellia serrata has been used for thousands of years to reduce inflammation. Boswellin® is a standardized extract of boswellia serrata that contains 40% β-Boswellic acids, the active ingredient. Hyaluronic Acid is a substance found in high concentrations in connective tissues. Its primary function is to provide cushioning and reduce friction between bones. Vitamins and minerals: Vitamin C, Vitamin D and Zinc. *Results in testimonials are atypical and individual results may vary. A healthy diet and exercise are recommended. You’re protected by our 90 Day Money Back Guarantee. If you are unsatisfied – IN ANY WAY – simply contact our friendly customer service support within 90 days of the purchase date for a full refund (less S&H). The guarantee is good for one used bottle and all unused bottles in resalable condition. We wouldn’t offer a guarantee like this unless we were absolutely confident that you’ll be amazed by the results. What do you have to lose? GET STARTED TODAY! Does SynerJoint Have Any Side Effects? Where can I buy SynerJoint? SynerJoint is available online (click here to buy) and in select retail stores. What is the appropriate age to take SynerJoint? 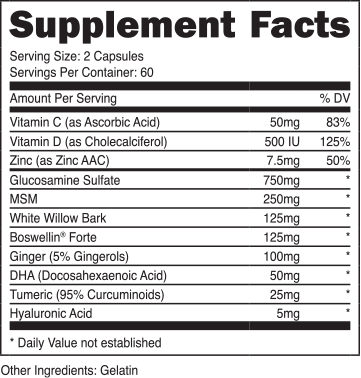 Like most dietary supplements, the recommended age to consume products is adults over the age of 18. Yes. Cellusyn labs use the safest, highest quality of ingredients to ensure safety and effectiveness. Get Oxycerin Joint Relief Cream FREE when you order two or more bottles of SynerJoint. Oxycerin’s key ingredient, Celadrin® has been clinically proven to reduce pain and rapidly promote joint health, improving flexibility and mobility. Each 2 ounce bottle of Oxycerin retails for $19.95.